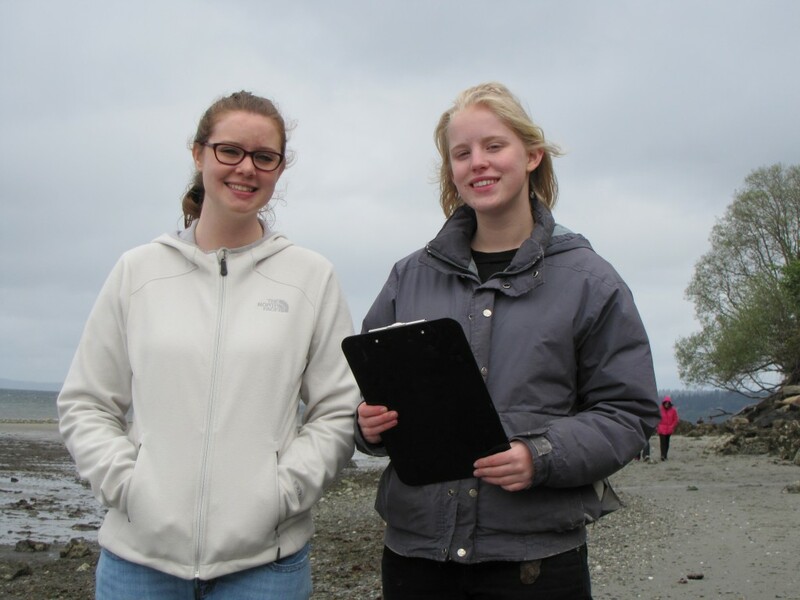 Last weekend we welcomed two more students, Katie and Carrie, to the COASST team. Both will temporarily adopt, or “spot weld” into COASST beaches in and around Seattle during the University of Washington’s spring quarter (April 1- June 14). Dressed for the weather, we headed out to Golden Gardens, which also happens to be a local BBQ/sand volleyball hot spot, but only during the summer months. We counted tens of people, not hundreds. No birds found (last quarter we found a Great Blue Heron, so you never know), but some predicable marine debris items: caps, lids, cans and straws. 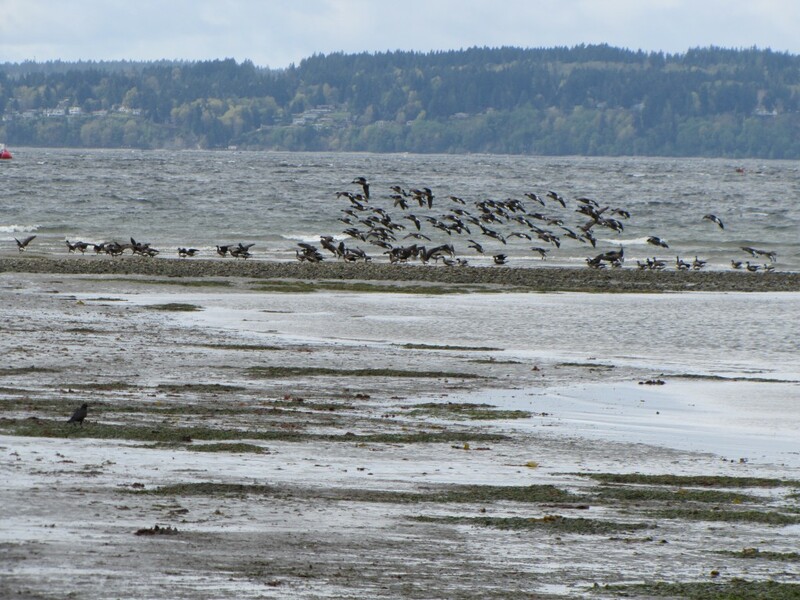 We’re seeing signs of spring – a flock of approximately 120 Brant landed out near the surf at the northern end of the beach. 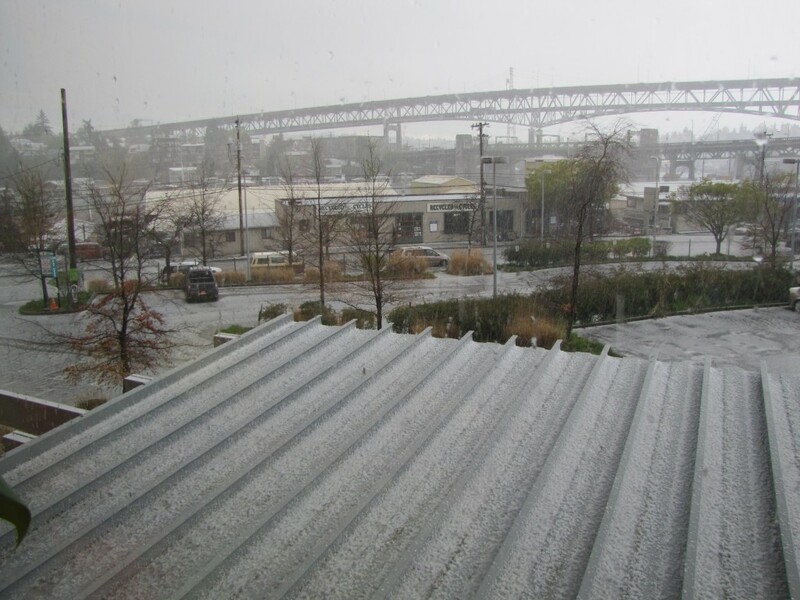 But winter is still “phasing out.” We returned just in time to miss a rather impressive ice pellet shower in the evening (see below, the view from our office). This entry was posted in Uncategorized and tagged Student on 24. April 2013 by coasst.